Picks up the cliffhanger ending from the first book and concludes with another gut-wrenching cliffhanger. Readers barely get a chance to breathe as the action moves from the peril Eve faces to the desperate lengths her friends are family are prepared to go to save her. Vintage Johansen!" The stakes are raised even higher in Hunting Eve as Eve battles the man who is holding her prisoner. Secrets about why Eve has been targeted come into the light, bringing Eve even closer to danger. 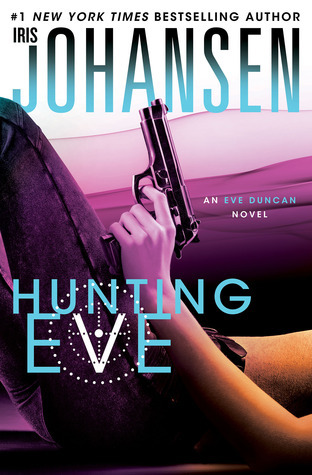 With its cliffhanger ending, Hunting Eve sets up perfectly for the finale, Silencing Eve.